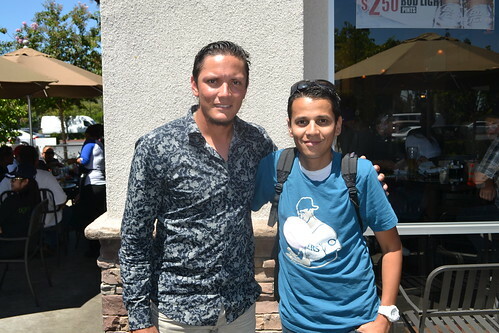 I went to El Tepeyac Cafe last Saturday to meet Miguel Rojas. Event done by Hall of Fame Sports and Kenny De Baca. 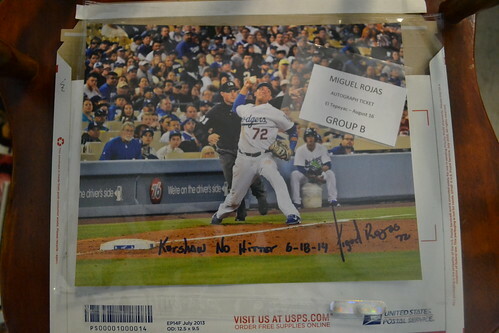 I do have his autograph already on a few cards but I was interested in this picture from Clayton Kershaw's No-Hitter. Thanks to Chris, Kenny, Jack and Miguel for the event!